I love my Bike Friday! 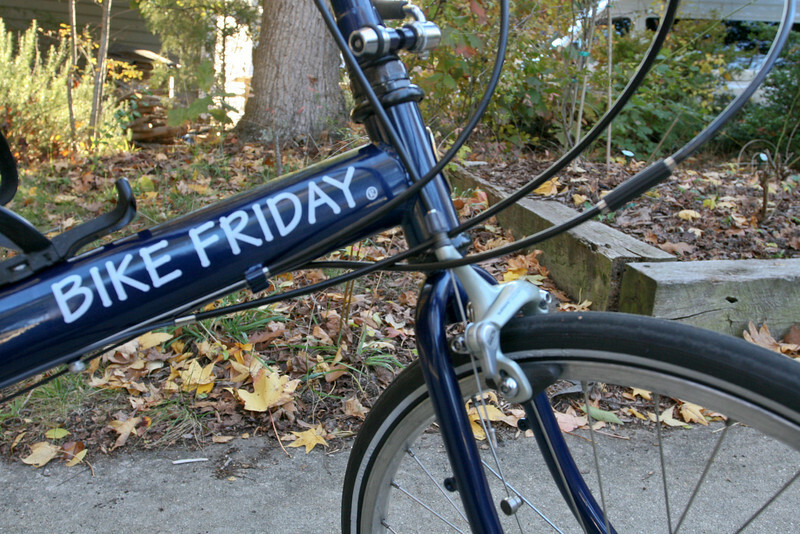 In fact, I think that my Bike Friday web page is one of the very first Bike Friday web pages to have existed! Here are a few pictures mainly from mid-November 2007; I had sent my bike in for reconditioning including a two-tone paint job.